if you can´t come to a personal session with me, then you have another option to receive guidance online. To resolve questions and doubts about your path, i am offering tarot readings. These readings can help you to make decisions and to achieve more ideas about your situation and how to solve it. For one topic it´s 30,-€ (PayPal). If you prefer a more detailed reading and to touch various topics, then please enquire about the options. Simply send me a message and i will reply asap with details to meet up by phone or WhatsApp. 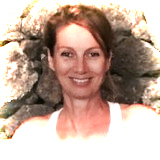 Personal face-to-face readings available in Lanzarote and when i´m travelling.